Workplace is the leading SaaS platform for compliance and productivity enablement for the wealth management industry. "It's an wonderful tool to communicate within your organization. It is an effective way to replace th"
This is a great product. Since this is exactly what facebook is, there is no education needed to use this one. It is fun and easy to use. The chat is little buggy but is a great replacement for the office apps. Secure and Personalized. Workplace is a great central resource for information and interaction. Our medical college implemented this software approximately one year ago and I have not encountered any issues or problems to date. Workplace is a worthwhile resource. It enhances work-place interaction and information-sharing capability. We have a multi-divisional, multi-departmental work structure and this is a great "go to" for a wealth of information. The software is well-organized and allows our college to share information on a general forum as well as organize into specific work group resources. I also appreciate that I receive notifications via email to alert me to new people and information throughout my workday. "Easy way to communicate with the entire company"
I love that everyone always knows what is going on in the company and we can share a lot of info. * We monitor all Workplace reviews to prevent fraudulent reviews and keep review quality high. We do not post reviews by company employees or direct competitors. Validated reviews require the user to submit a screenshot of the product containing their user ID, in order to verify a user is an actual user of the product. Hi there! 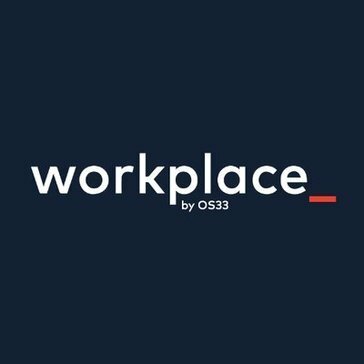 Are you looking to implement a solution like Workplace?